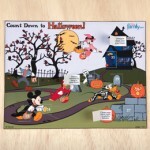 You are here: Home / crafts with kids / Halloween treats to share! 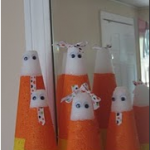 Last week I shared some kid (and budget) friendly craft ideas. 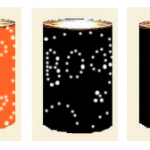 This week, the focus is on Halloween treats to share! 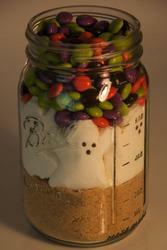 Halloween S’mores Gift in a Jar ~ This Halloween S’mores mix is cute and soo easy to put together! For the details on how to make it along with cute printable tags to attach, check out this post on Organized Home. 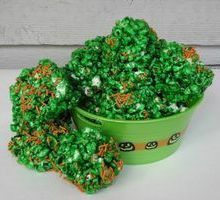 Halloween Popcorn balls ~ These Halloween popcorn balls are easy to make and I’m sure your kids would have a blast helping out! Plus, your neighbors and friends will enjoy them! 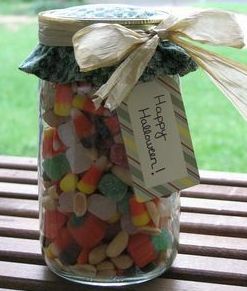 Halloween Treat Jar ~ This gifts in a jar concept is simple and easy to throw together! Share this Halloween treat jar with your child’s teacher, friends, or a neighbor. 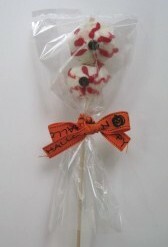 Edible Eyes ~ Your kids will get a kick out of this Halloween treat and will have fun sharing them with friends! Find out how to make your own Edible Eyes here. 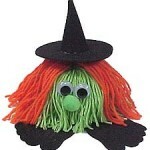 Kid friendly and budget friendly Halloween crafts! 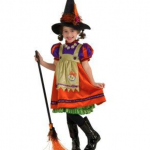 Halloween costumes for $8 or less! Love this! 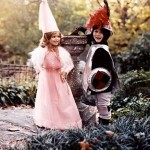 Wanted to let you know that I've linked back here on my "This & That Thursday" post. Hope you're having a great day!